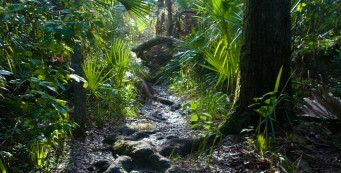 Florida Trail, Orlando | Florida Hikes! 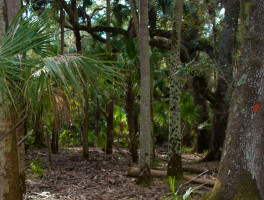 Hiking through the Orlando metro – four counties, including Osceola, Orange, Seminole, and Lake – means a strong sense of contrasts between wild and urban. 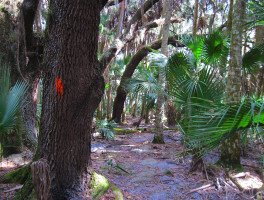 It’s surprising just how wild the segments of the Florida Trail on public lands are through this section, following an arc that parallels the St. Johns River and its tributaries, stretching from the edge of the Ocala National Forest to the north to the prairies of Three Lakes WMA in Osceola County to the south. 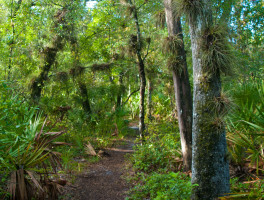 With the exception of two days of roadwalk through a vast cattle ranch and two days of urban paved trails, this section shows off hammocks of ancient live oaks and towering cabbage palms, vast pine savannas, desert-like scrub forests, and bogs with terrestrial orchids and pitcher plants. 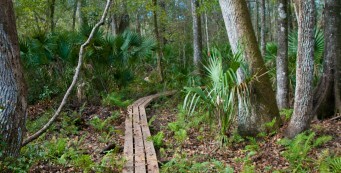 Easily accessed from a variety of trailheads, these segments are popular destinations on the weekends. 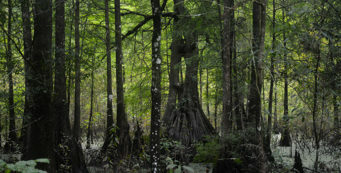 FLOODING can be a concern along the St. Johns River floodplain. At times the river and its tributaries may be high enough to inundate the trail past the point where it is safe to wade it. 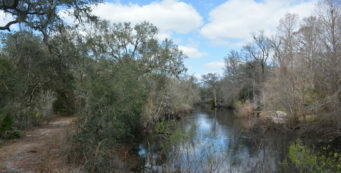 At Bull Creek WMA and in Tosohatchee Reserve, the white-blazed western side of the loop serves as a drier alternate route to the Florida Trail. 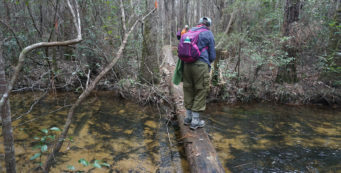 If you waded into Seminole Ranch north to Wheeler Road, best to roadwalk from the Wheeler Road trailhead to the Joshua Creek trailhead to avoid deep water in Bronson State Forest. Check river levels near Bull Creek, Tosohatchee, Bronson. 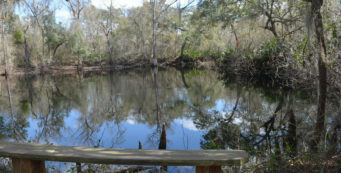 Additionally, the Econlockhatchee River can swamp its banks. 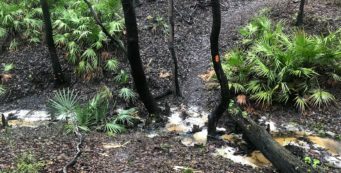 Do not hike that section in flood stage. Check this gauge. 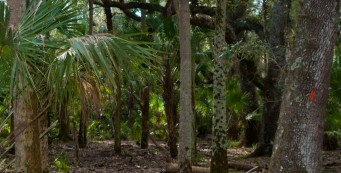 Fees apply for primitive camping at Tosohatchee, Bronson State Forest, and Seminole State Forest. 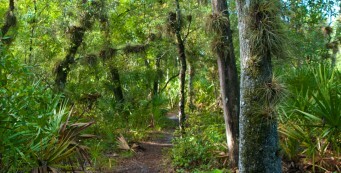 Seminole State Forest also charges an entrance fee. Obtain permits online or at the trailhead kiosk / main office. 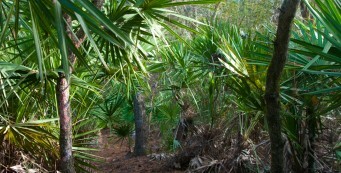 Forever Florida allows card-carrying FTA members to use the Tracy Branch campsite if no paying guests are filling it. 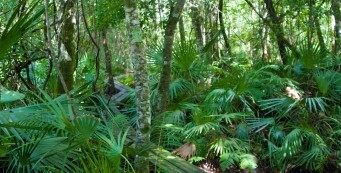 Call 407-957-9794 before you arrive. You may also pay to reserve a spot. 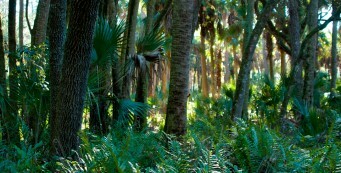 The campsite has shelter, picnic tables, hot showers, potable water, and flush toilets. 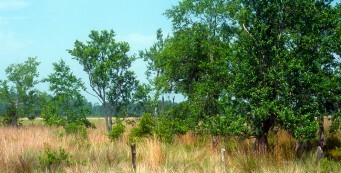 While the roadwalk between Bull Creek WMA and Tosohatchee WMA through Deseret Ranch is 30 miles long, discreet camping is possible on the eastern side of Nova Road (north of Deer Park Road) behind clumps of trees. Under no circumstances should you hop any fences in this stretch for camping or water. 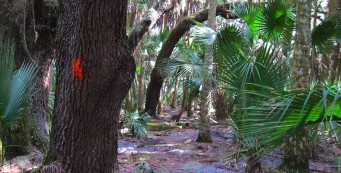 It is also possible to camp at the Taylor Creek Loop. 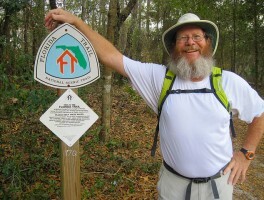 Should you have gear issues, there are two outfitters in the Orlando area that can be reached by bus or by foot from where the trail passes through Longwood and Lake Mary: Travel Country Oufitters in Altamonte Springs on SR 436 and REI Winter Park, which is along the bus line you can catch below the bridge over US 17-92. 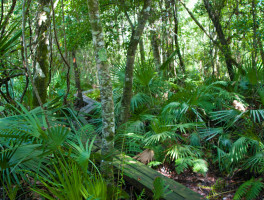 Florida Trail, Bronson State Forest- A quick sampler of the beauty of Bronson State Forest, this walk on the Florida Trail to Bunscombe Creek and back offers a great perspective on summer wildflowers. 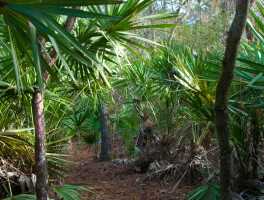 Florida Trail, Little Big Econ State Forest- One of the most beautiful hikes near Orlando is rugged, too: the Florida Trail atop bluffs above the Econlockhatchee River through Little-Big Econ State Forest. 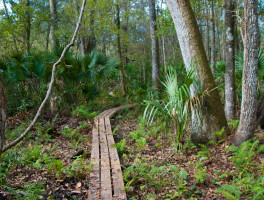 Little-Big Econ Kolokee Loop- A loop hike in Little Big Econ State Forest, the 4.7-mile Kolokee Loop shows off the best facets of the Florida Trail along the Econlockhatchee River. 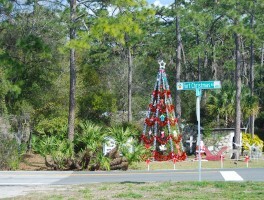 Named for the fortress built during the Second Seminole War on Christmas Day of 1837, the community of Christmas sits along creeks that drain towards the St. Johns River. 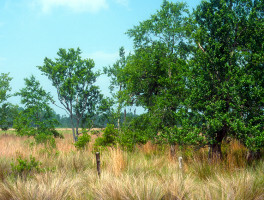 Providing a 20.5 mile loop for backpacking amid open pine savannas and prairies, the Florida Trail at Bull Creek WMA is a popular destination. 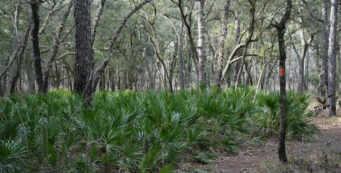 A hike on the Florida Trail in Seminole State Forest leads you through the kind of vast, open spaces that you’d never imagine existed so close to Orlando.